Home / Reviews / Snatched Blu-ray Review! The 1980s were one of my favorite decades for film. There was just something magical about that era and the high concept movies that were green-lit and released in theaters. In today’s day and age it would be hard to imagine a sequel as dark and gritty as Temple of Doom or a comedy as high concept as Troop Beverly Hills being released. Everything today is so grounded in reality that I’ve been yearning for a high concept film for a long time. Enter Snatched, out now on Blu-ray and starring 1980s icon Goldie Hawn along with Amy Schumer who also had a hand writing the script. If ever a pairing of two generations on screen was going to pop, this was it. 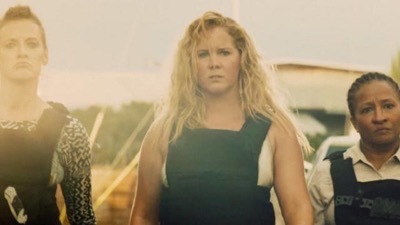 Emily (Amy Schumer) has just been unceremoniously dumped by her boyfriend (Randall Park). She’s wandering in life and is trying to find some foundation if only lackadaisical. Emily’s mother Linda (Goldie Hawn) found out via Facebook that her daughter was single and started to leave comments that she thought only her daughter could see. This sets up the dynamic at play, Old world Mother vs New World Daughter. It works to an extent thanks to a winning performance by Goldie Hawn making her jump back to the big screen after last starring in 2002’s The Banger Sisters. Emily has purchased non refundable tickets to Ecuador and after her friends turn her down, she begs her mom to join her. Linda, isn’t the adventurous type but eventually succumbs to the whims of her daughter and goes with her. Once there, Emily meets James (Tom Bateman) a hot Brit who woos her to set her up to get kidnapped for ransom… Along with Linda. They get handed over to a gang who tries to get Jeffrey (Ike Barinholtz) their agoraphobic brother and son respectively, to come up with the cash to set them free. Along the way, the blonde twosome go through parasite infestations, rummaging through the Amazon, meeting a “non-guide” (Christopher Meloni) who tries to lead them to the American Embassy via a map on a restaurant placemat and in turn learn about themselves and each other. Snatched is a very uneven comedy, at times it’s hysterical with the two leads really shining and using their comedic gifts to the fullest. However, the script lags and doesn’t do them justice. If the script had been reworked a couple more times, everything would have evened itself out, as it stands, Snatched is a good comedy, but it could have been a great one. One thing that was really great about the film, is that even for a high concept 1980s throwback comedy, both leads never came off as merely dumb blondes, they were smart women who were flawed and trapped in boxes of their own choosing. It would have been very easy for any writer to justify the actions of these women by pulling that card, but they didn’t and in turn made the film all the more believable. I could picture my mother reacting the way Goldie Hawn did, even sacrificing herself for her kids, it was logical and made sense. As did Emily’s reaction when she saw what her mother did for her, and the fact that she heads out to save her. Snatched arrives on Blu-ray in a fine transfer from 20th Century Fox Home Entertainment. Given the lush locale, the film really pops on high definition. The beach scenes and jungle moments look extra lush and green. There is little to no fallout even in the darker scenes and the action sequences. Fine details are present throughout and overall it really enhances the film. 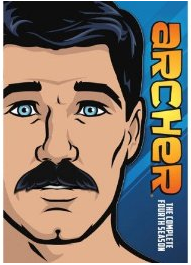 Deleted Scenes and Extended/Alternate Scenes – There are about 15 different scenes each worth watching at least once. Gag Reel – This is a simply yet funny gag reel with blown takes. Director Commentary by Jonathan Levine. Overall, I have to say, while it wasn’t a perfect film, I really enjoyed it. I thought the performances by the two leads are winning and help to bridge the gaps when the script failed them. 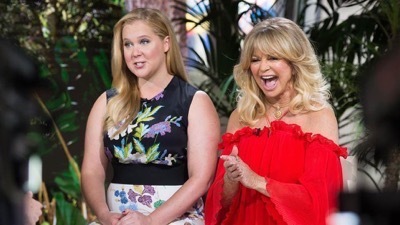 Goldie Hawn is a breath of fresh air, returning to the screen after a long absence and she helps tone down Amy Schumer’s raunchy girl schtick. I recommend catching Snatched, I think you’ll enjoy it! Movie Review Time! 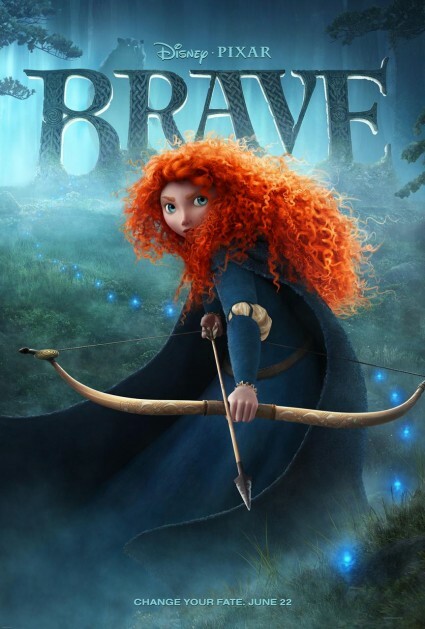 Walt Disney and Pixar’s Brave! The Novel Strumpet Says Check Out The Newest Disney Animated Classic and Gets To Play Fun Hollywood Games… Wait a Minute… I Wanna Play Games! Gotham: The Complete Third Season Blu-ray Review!